The Bonney family generously donated approximately five acres of land along Route 4 and the Nezinscot River, an Androscoggin tributary, to Androscoggin Land Trust in 2007 for the development of a village park. In 2009, Maine’s Department of Transportation transferred to ALT an abutting 16.5 acres of riverfront land. During the fall of 2014, with the help of volunteers, we constructed a new half-mile loop trail on this conservation area, which contains over 1,000 feet of beautiful Nezinscot River frontage. Directions: From Lewiston-Auburn take Route 4 north to the intersection with Snell Hill Road. The property is just north of the location of the Hannaford Store. 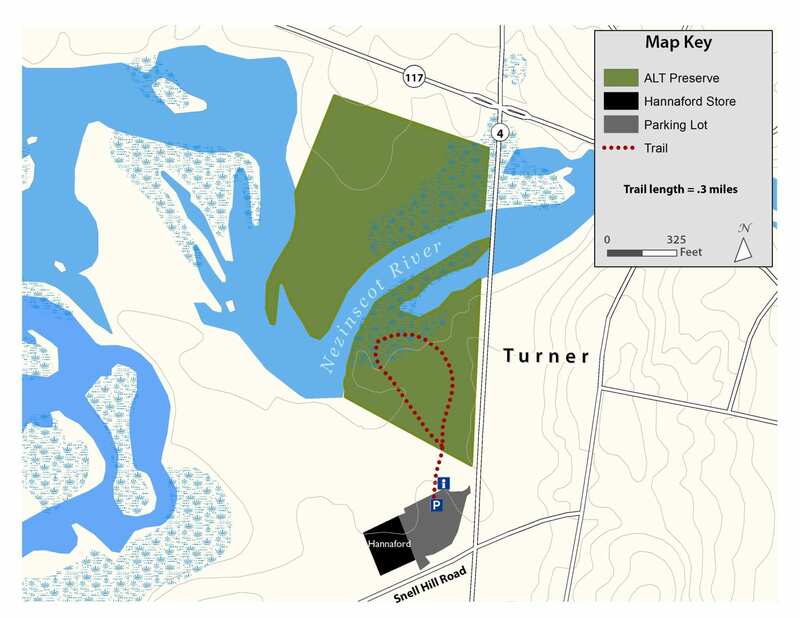 There are four dedicated parking spaces for this property in the Hannaford parking lot which are located near the trailhead.